If you are a fan of movie themed sunglasses, then you will fall in love with this Olympian model from Ray-Ban. The Ray-Ban RB3119 Olympian Sunglasses are a classic 1960s pair of shades. 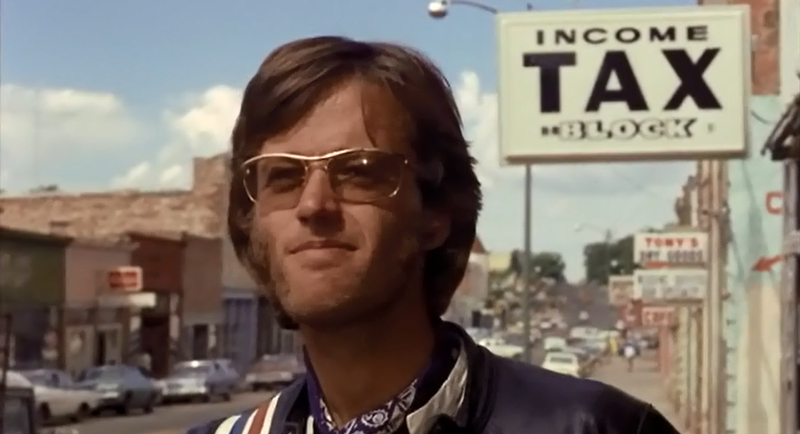 In the 1969 American road movie, “Easy Rider”, Peter Fonda wears the original Captain America sunglasses, which were designed by American Optical. These sunglasses are now a collector’s item after going out of production. But fret not because the RB3119 Olympians are sunglasses that come close to the original Captain America shades. Show off your taste for stylish accessories by choosing to wear these celebrity replica sunglasses. Besides being stylish, they come with many additional benefits as explained below. The Ray-Ban 3119 Olympian shades are designed using the G-15 green gradient lenses. These lenses absorb up to 85% of visible light, including blue glare. Whether you are going out on a sightseeing excursion or taking a road trip like Captain America with his freewheeling hippies, the G-15 green tint on these shades will enhance clarity while maintaining natural vision. If there is one thing that makes the Ray Ban 3119 Olympian sunglasses to stand out, it has to be the design. Featuring a gold colored metal frame and transparent temple tips, these shades exude an aura of sophistication when worn. This model also features the Ray Ban logo finish on the temples. Like most Ray Ban sunglasses, the RB3119 Olympians are packaged and shipped with a cleaning cloth and carrying case. The case comes in handy when you are on the go and not wearing the shades, while the lens cloth eliminates the need for carrying around handkerchiefs all the time. For the sleek protective case, you can choose from a variety of colors. Last but certainly not least, the RB3119 Olympian shades come with several features that enhance comfort and durability. The shades feature long lasting metallic frames and durable lenses. Despite being made of metal, they are very light, only weighing 1.6 ounces. The nose pads featured in the design prevent the shades from slipping. In addition, you can order this model of Ray-Ban sunglasses with prescription-ready lenses. What is the cost with clear progressive prescription lenses? Like the original Peter Fonda glasses.